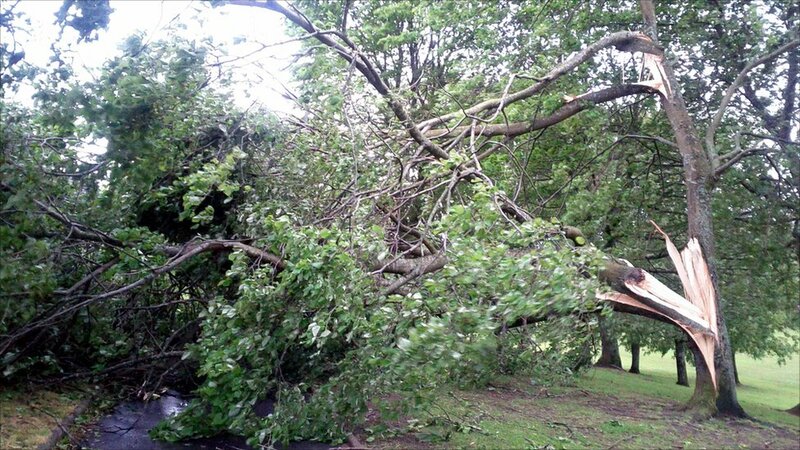 Strong winds brought this tree down in Beech Road, Lenzie. Michelle Bloomfield, daughter Marnie and niece Ellis surveyed the damage. Alexander Henry thinks that the driver of the car in Bruntsfield Links, Edinburgh, was unharmed. 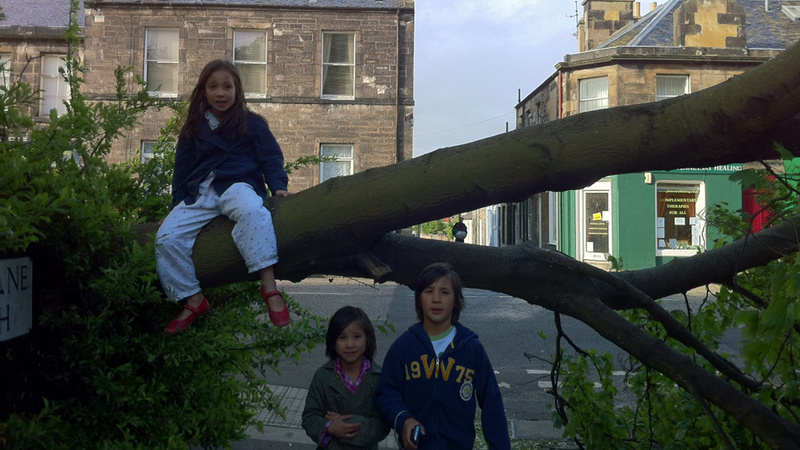 The tree in Portobello High Street created an unusual obstacle course for Pim Stein's children. 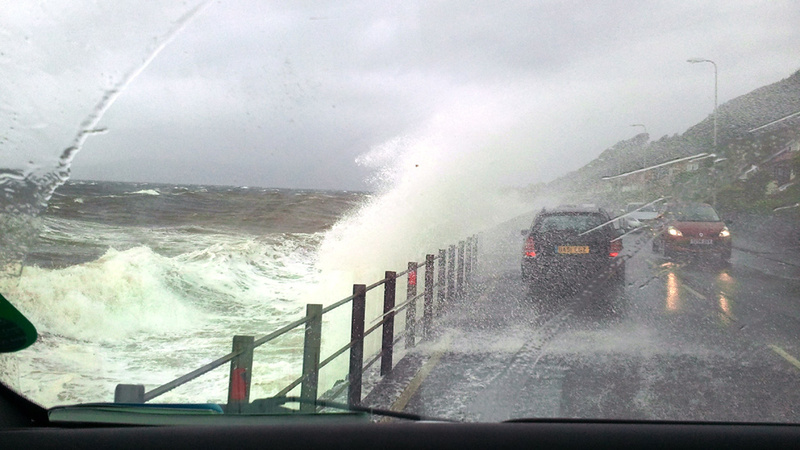 Lynn McClelland from Glasgow got closer to the Clyde than she thought while on her way home from Largs. Next stop firewood? Possibly for the branches on this tree in Milngavie. Photo by John Cullen. 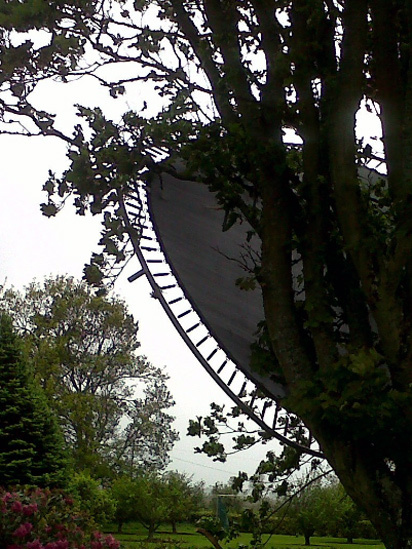 This trampoline got stuck in a tree in Annabel Niven's garden in Perth. 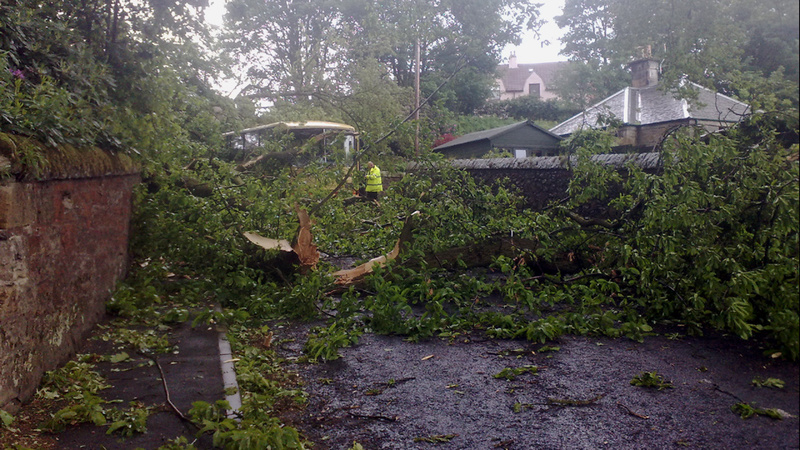 The school bus in Markinch, Fife, stopped as a tree blocked the road. 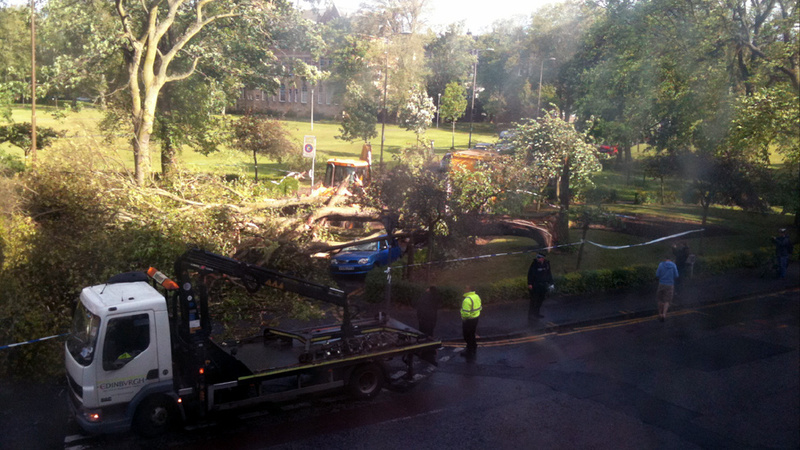 Dean Cunningham arrived just as the second tree came down, smashing the windows. 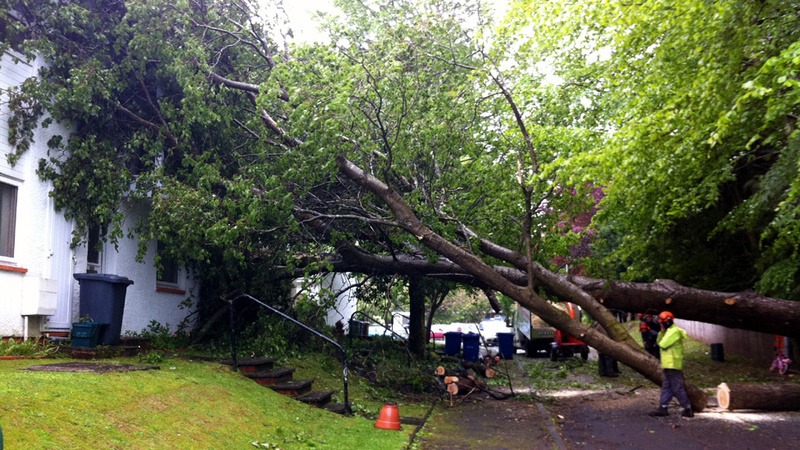 The pupils were alright but the man who came out of his house to help was hit by the second tree. 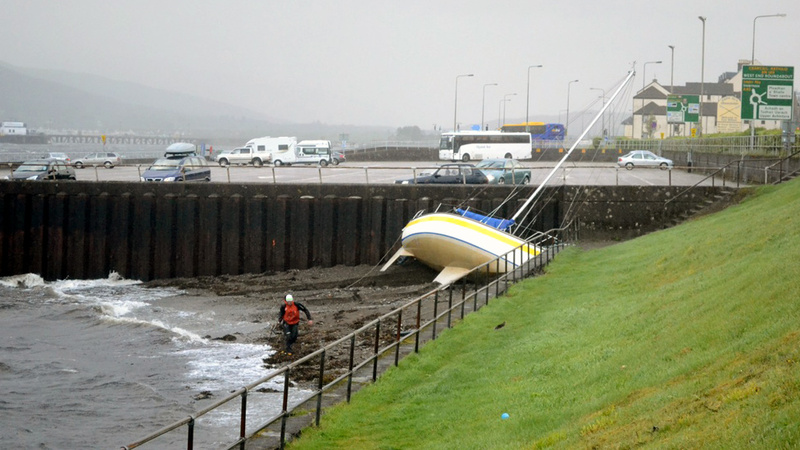 A boat broke free from its mooring in Fort William in a gust of 110mph according to Jamie Riley. 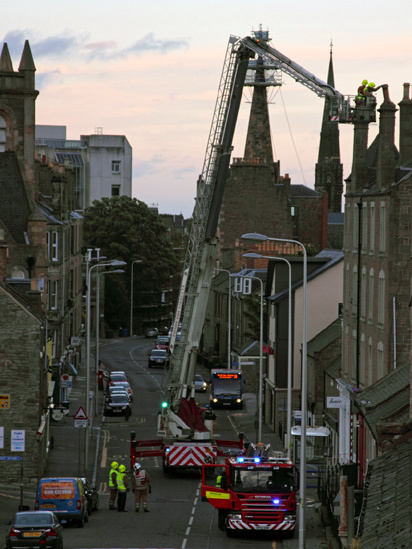 Tayside Fire and Rescue were captured hard at work by Jed Scott as they removed a dangerous chimney pot from the roof of a tenement building in Dundee's Perth Road. 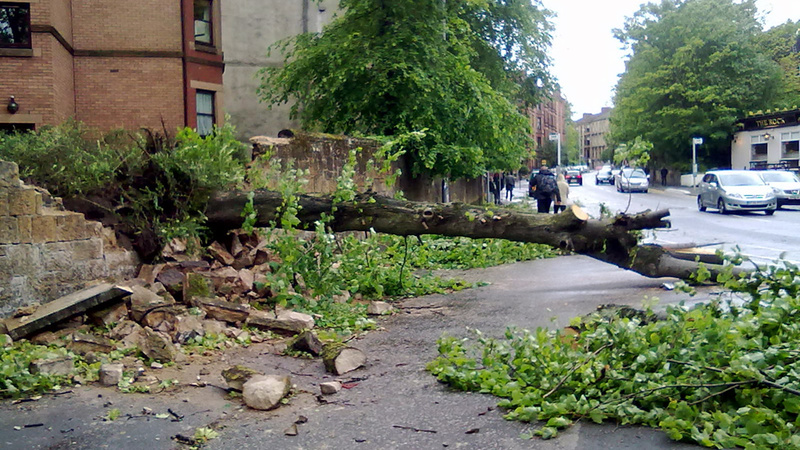 A stone wall on Highburgh Road, Glasgow, stood no chance against a falling tree. Photo by Vanessa Miller. 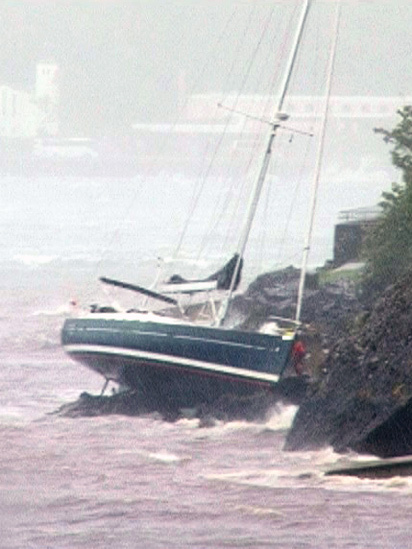 This boat had a rocky landing in Oban, as you can see in the photo by Howard Jones. 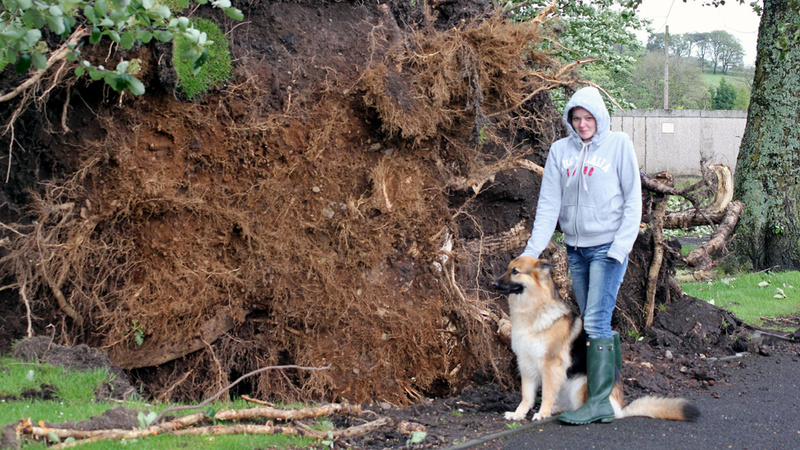 Deborah Maisie and daughter Nicole came across several uprooted trees in Dollar, Clackmannanshire. 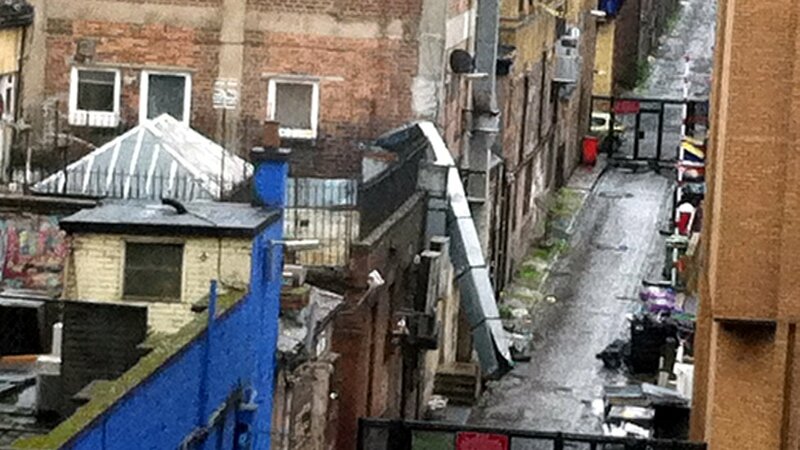 The shelter provided by Bath Lane, Glasgow, was no protection for this metal duct. Photo by Lorna Colquhoun. 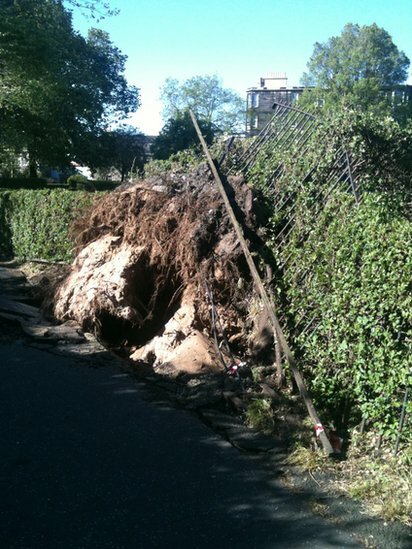 Jen Morrison snapped this fallen tree in Edinburgh which had uprooted, taking with it a metal fence. 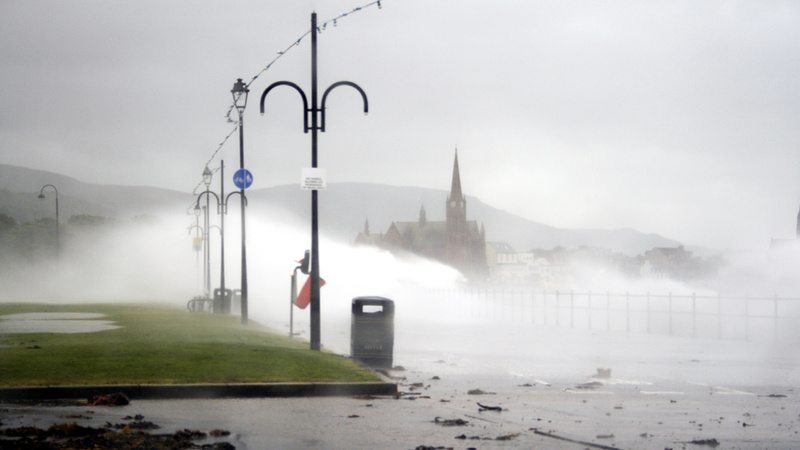 Gusts of up to 90mph led to lashings of sea spray along the water front at Largs, according to Ryan Morrison from Glasgow. 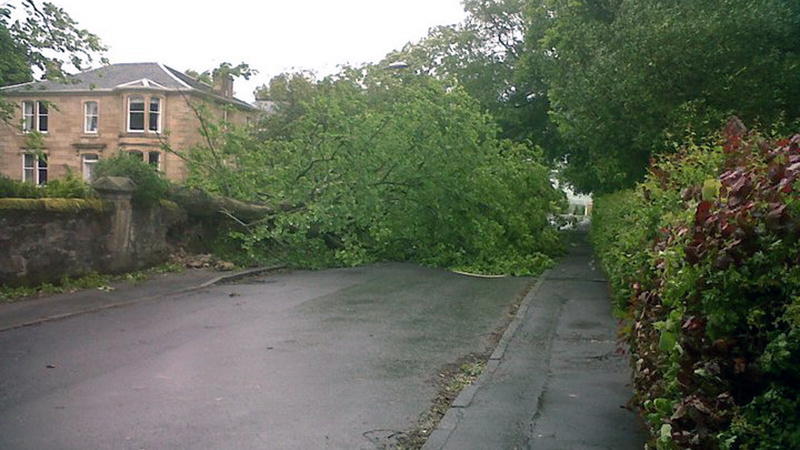 Kirsty Graydon said the aftermath of the high winds brought this street in Kilmacolm to a standstill.